Executive Condominium (EC) dwellers in Singapore will have a new “luxury” option with the completion of CityLife@Tampines this month. The 514-unit project, located in an inner-city area along Tampines Central 7 near the Tampines MRT station, is believed to be the first “luxury” hotel-inspired EC development in Singapore. The whole development covers nine building blocks. Launched in Q4 2012, it was developed by a consortium comprising Amara Holdings, Kay Lim Holdings, and SingHaiyi Group, according to a report by PropertyGuru.com.sg. 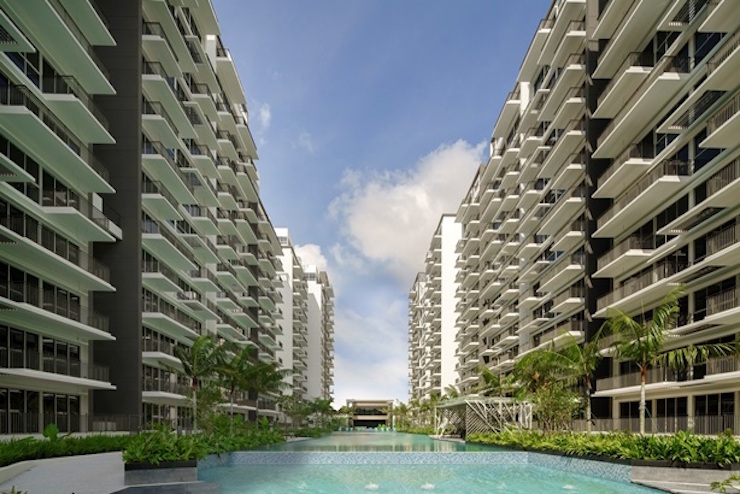 While its two- to five-bedroom skysuite units are pretty much common in other EC projects, CityLife@Tampines also features a 100-metre infinity lap pool, which is a rarity due to space limitations and astronomical cost of land in Singapore. Other amenities include dual-key features in some three- and four-bedroom units, resort-style landscaping, and curated designer fittings and appliances. “With the EC’s comprehensive suite of hotel-grade facilities, complemented by the convenience brought about by its strategic location in the heart of Tampines, we are confident residents will quickly feel at home,” Albert Teo, CEO of Amara Holdings, told local media. The completion of CityLife@Tampines comes at a difficult time for Singapore’s private home markets. Singapore Business Times reports that only 478 units were sold in January 2016, including 156 EC units. Developers of the CityLife@Tampines project are not concerned about sales, however. Because the development was launched before the cooling measures were implemented, the project had already sold about 90 of its units within two days of launching in November 2012. It was subsequently sold out by March 2013.